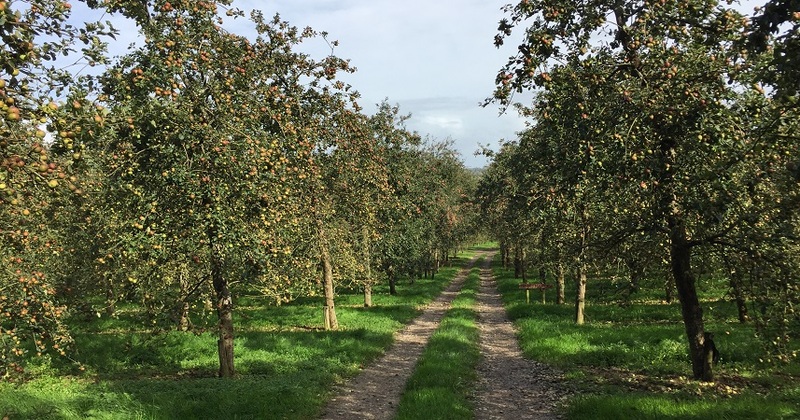 Healey’s cider and apple juice has become a household name in Cornwall and I thought it was time to pop down to the farm and learn all about it. The farm is situated at Penhallow, deep in the Cornish countryside. I must admit that I wasn’t prepared for the scale of the operation. Fermentation tanks soared into the sky, the reception area was huge, as was the car park, an indication that hundreds of guests flock here in the summer months. 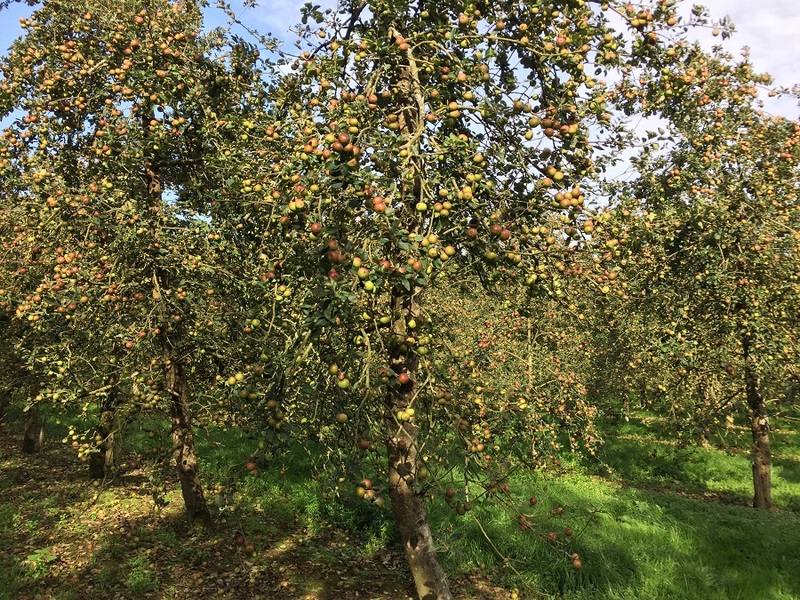 Autumn is a great time to visit as the apple trees in the orchards are laden with fruit on the boughs and windfalls beneath the trees. A tractor tour of the farm is a must as it has a very informative commentary which sets the scene for the production process. Apples are left to fall or shaken from the trees and then picked up from the ground by machine. I was intrigued to see glass bottles hanging on some of the branches. Apparently an apple will grow inside the bottle and it is then filled with brandy as a quirky product for sale! There is an option to take a guided tour which takes you on a journey through the press house, jam factory, museum, distillery and cellars. After that, you go on to watch the modern day streamlined production from a viewing platform above. Along the way there are free samples of the range of ciders, wines, juices and jams, all produced on the farm. The traditional farm buildings have been converted to ‘The Old Bottlery’, restaurant, serving home made meals with inside and outside seating to make the most of the lovely old cobbled courtyard. Well-behaved dogs are welcome and children will love the friendly farm animals and Pets’ Corner with goats, pigs, ponies and chickens. 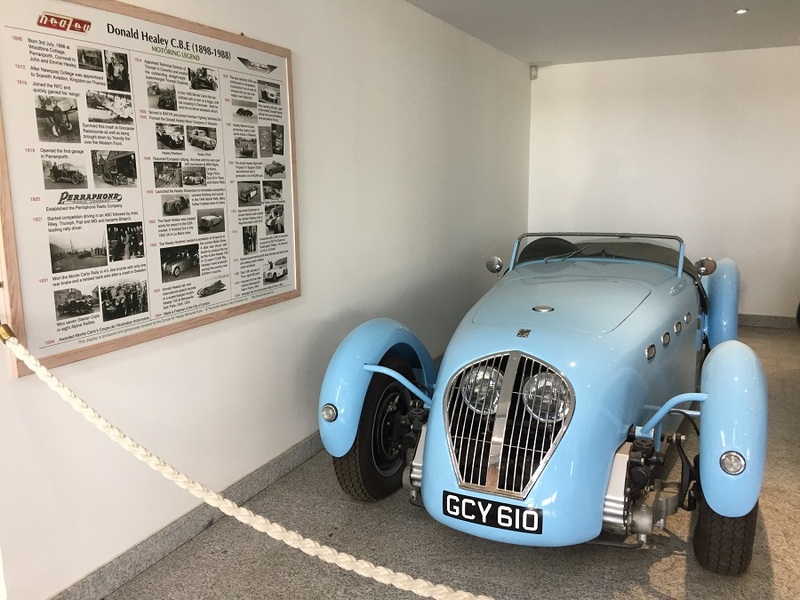 The family is directly descended from Donald Healey, the famous rally driver and inventor of Austin Healey cars. There are some vintage models in the Visitor Centre for keen motor enthusiasts to drool over! There are plenty of opportunities to buy the ciders, wines, spirits, jams and preserves made on the premises and most people I saw were laden with a bag or two of goodies to take home and sample. We thoroughly enjoyed our visit and recommend you pop over for a visit to discover how this thriving family business originated and developed in the depths of the Cornish countryside. 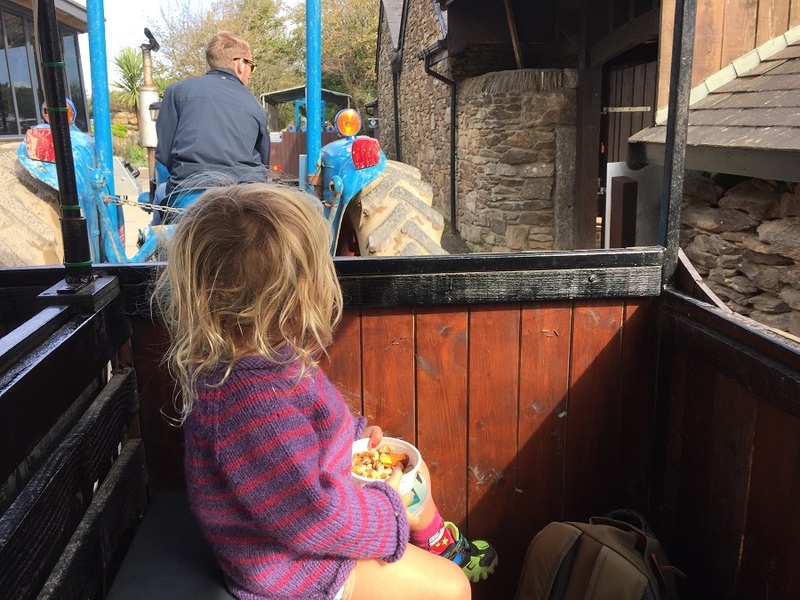 The tractor ride is a must! 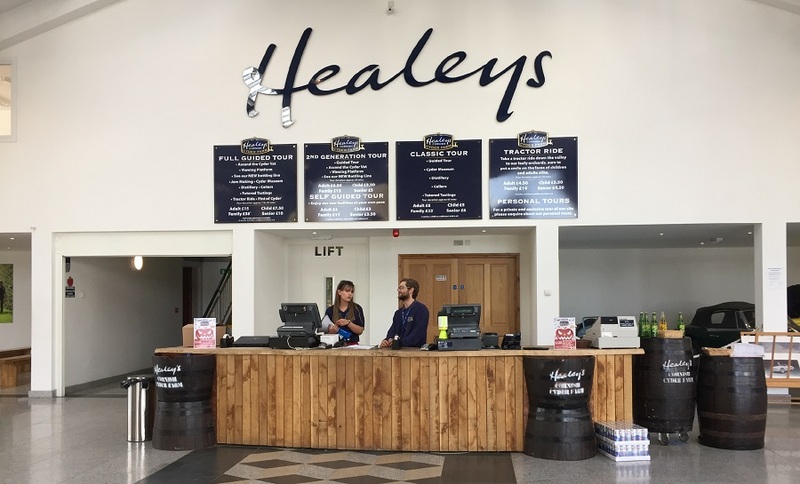 Healey’s Cornish Cyder Farm is approximately 30 minutes’ drive from Bosinver. It’s just off the A30 on the A3075 in Penhallow (look out for the brown tourist signs). There’s plenty of free parking on site. 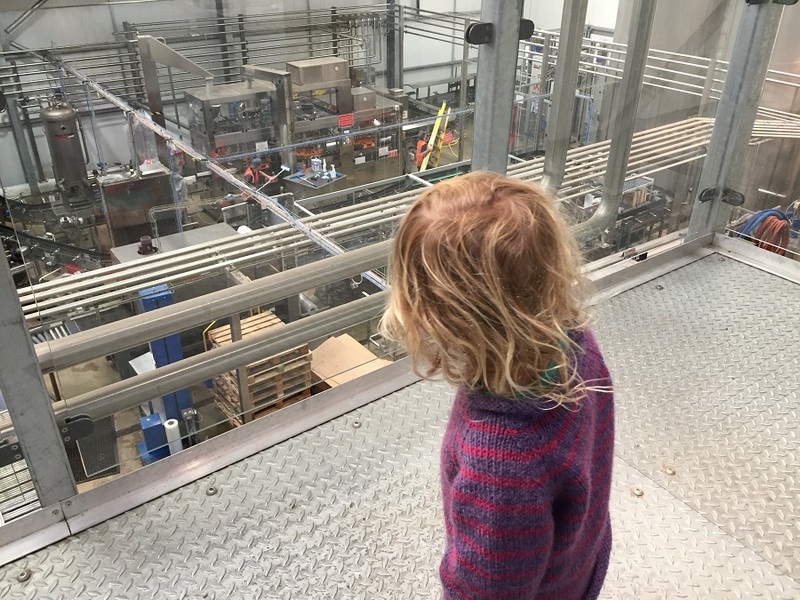 There are a range of tour options, from a self-guided tour to a full guided tour (including a tractor ride, cyder tasting, and a visit to the distillery, bottling line and cellars). Entry is free for children under six. Well-behaved dogs on leads are very welcome, too!